This fun design done in inky blue looks like an old-fashioned stamp. The distressed text reads PREMIUM QUALITY BIRDER; the design has a vintage look. 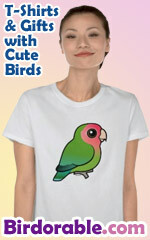 So cute & original for birdwatchers!